Makes we want to spend the entire day in a hot bath. Unfortunately, that's not possible. I can, however spend a few minutes looking at a new bathroom. Today's featured online design plan is a recent project for a soothing new master bathroom. This space was already beautiful, spacious with a great layout, shiny new fixtures and gorgeous tile work. We had the fun job of icing the cake. 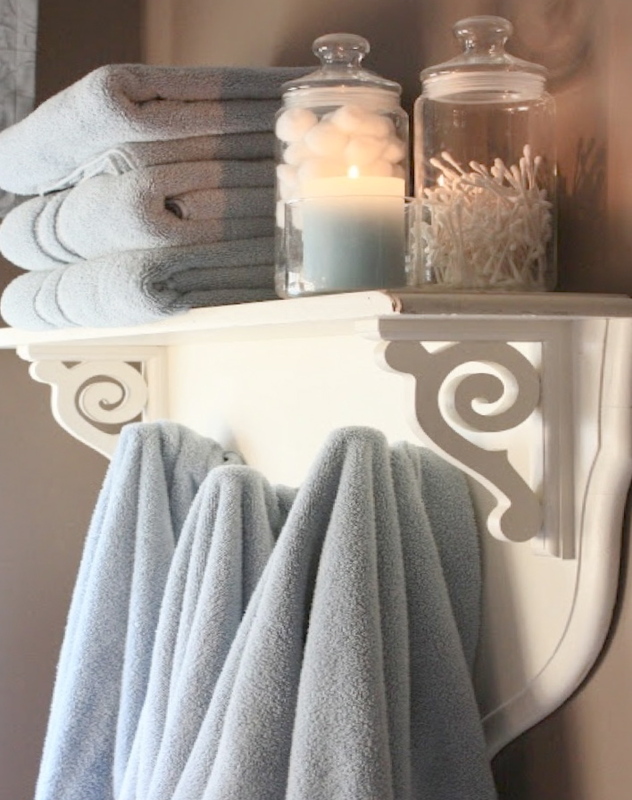 We gave our client some ideas for storage of bathroom necessities. One of these ideas included this photo from my own bathroom of a shelf my Grandmother made from an antique headboard and three vintage iron hooks. In addition to this inspiration photo, we also gave our client a few links to similar products that they could purchase if they are not up for a DIY project. 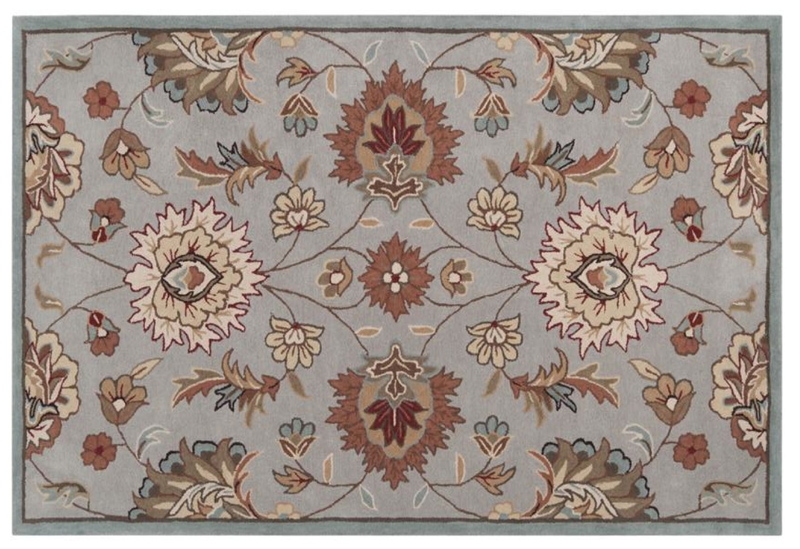 We chose a new rug with a soothing color palette that will look amazing on the sandy colored tile in the space. For wall color, we suggested a soft shade of blue similar to the border found in the rug. You can see in the photos above how the blue wall color does not match the rug color perfectly. It is a similar shade, but slightly muted. Using different shades of the same color throughout a space gives the design depth. My advice for using a rug as a tool for choosing paint color is bring home a paint deck from your favorite paint store to help you choose a shade that blends well with your rug, but is not an exact match. It's better to do this in the actual space, as opposed to bringing your rug to the store. Especially with blues and grays, they are highly sensitive and reactive to their surroundings. Always test a few shades on the wall using paint samples before deciding on the final color. We gave our client a few options for artwork. This trio of prints plays very well with the rug and also complements the tile in the space. This bathroom is very spacious. There was a perfect opportunity next to the bathtub to incorporate a leaning shelf. 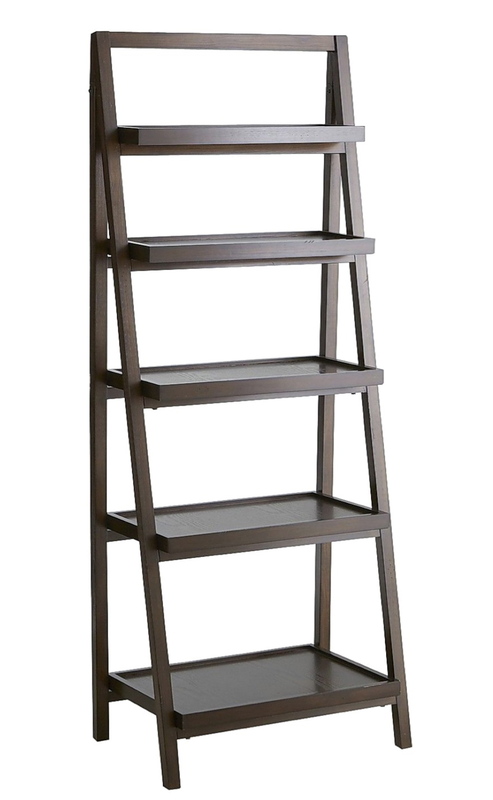 This added even more storage, pretty display space as well a visual height to the design. For the windows, we suggested soft white wooden shutters with both top and bottom controls for privacy. 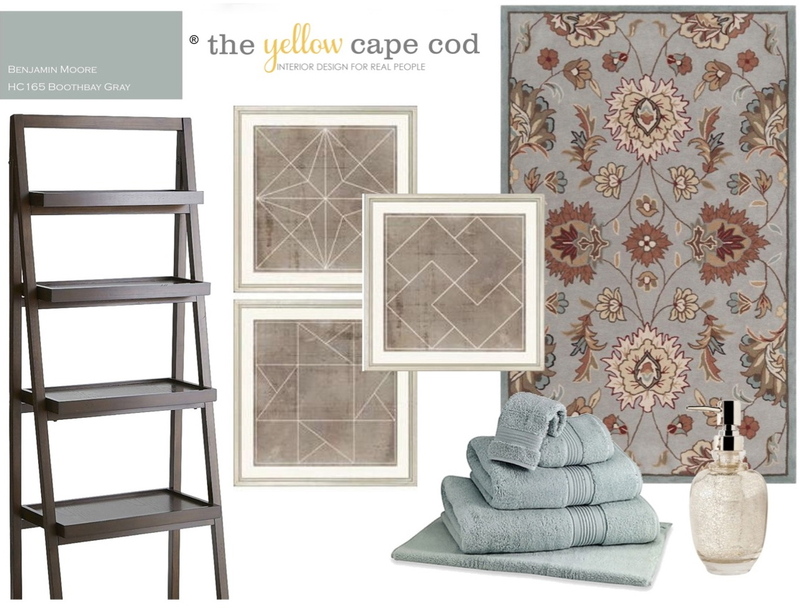 We finished up this design plan with a few more recommendations for art, beautiful towels and pretty bathroom accessories. We also designed a small hallway leading into this gorgeous bathroom from the master bedroom. Stay warm, thanks for stopping by. I absolutely love this rug! Can you tell me where it was purchased? Hi Tammie, sure, it was from Home Decorators Collection. so who won the give away?